She also had to say a few words as part of her dressing up. Dear Friends, I’m a pretty jellyfish. I am an under water sea creature. I have many tentacles and if you come near me I will sting u .
I move up n down, up n down deep inside the ocean. I like to glow in the dark. so that I can eat insects. Girl..are you for real!! how do you come up with such awesome ideas!!! amazing! and the Ganesha does have a sense of peace when we look at him 🙂 lovely! Thank you for the mention..
Good job. You are very creative!!! @Sands 🙂 The costume that we get for rent in bangalore are pathetic. I like to create the costumes myself. Most ideas are simple to implement. 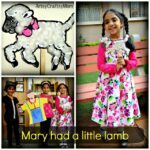 @Nithya: Thank you.. n saw that u ar now following me on FB 🙂 huggs. Thank you. @Boo: mail me ur address pls..
@Ani: Thank you. U guys had seen it already on FB. O thank you thank you thank you life saver. Sure will share the pic. 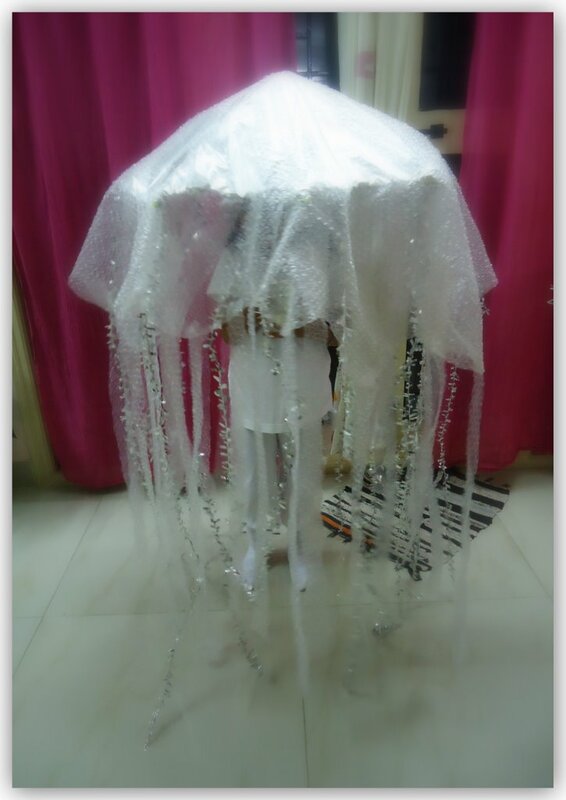 Jelly fish costume looks so cute,next time for the kid will pick up ur idea of jelly fish for fancy dress competition. Hope you win the giveaway contest ! First time here. I loved your Ganesha picture. How do you do it – man it must feel so good to be able to draw something so complicated so well. I do draw some but “atta copy” type drawings – but this one – don’t think I can even copy – the eyes are the hardest. To get that sense of peace in the eyes. 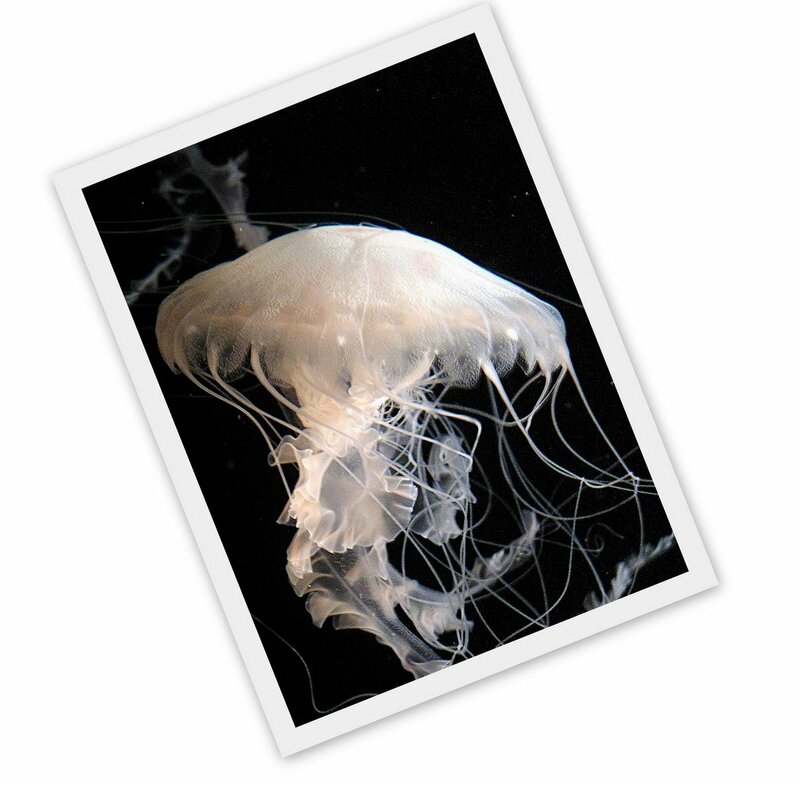 Shruti..the jellyfish is so pretty! May I steal the idea if required in the future? 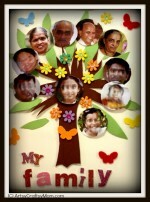 U r so creative! The ganesh is stunning and I hope he continues to bring you more luck! 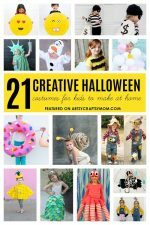 hi, both the jelly fish costume and penguin costume are very much creative and cute………. That’s the coolest costume ever! So creative!